You are here: Home / Frequently Asked Questions / What Happens if my Settlement Payment is Delayed? What Happens if my Settlement Payment is Delayed? 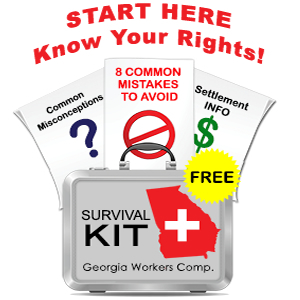 Under the Georgia workers’ compensation law, your employer and their insurance company must issue your settlement check within 20 days (17 days if the check is coming from out of state) after the date the State Board approves the settlement paperwork (this paperwork is called a settlement stipulation). Typically the insurance company will issue two checks – one to your lawyer and one to you. If your check is mailed (postmarked) more than 20 days after the date the State Board stamps the stipulation, that lump sum payment is considered late and the insurance company is liable for a penalty amounting to 20% of the lump sum. We start counting the day after the State Board stamps the stipulation. The law assumes that you will get your check in the mail within a day or two after it is mailed. We advise you to save the envelope, because it will show the date that the check was actually mailed. Since you will be signing the stipulation before it is submitted to the State Board, we encourage our clients to carefully review their addresses on the paperwork.